Ms Mariah Carey is back with brand new music… well one new track at least, as she prepares to take up residence on the stages of Vegas for a greatest hits show entitled ‘#1 To Infinity’. To celebrate, her ex (and now new again) label Sony has put together a collection of her No.1 US hits as part of a new multi-album deal. 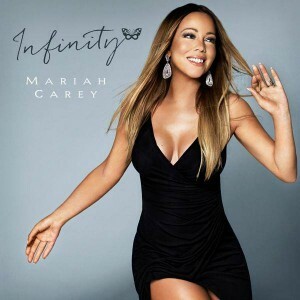 Arriving at retail next month, ‘Mariah Carey : #1 To Infinity’ will bring together a range of the singer’s biggest hits, including ‘Vision Of Love’, ‘Emotions’, ‘Hero’, ‘Dreamlover’, ‘Fantasy’, One Sweet Day’, ‘Honey’, ‘We Belong Together’ and more, along with the brand new single ‘Infinity’, which is now available digitally. Listen below. ‘Mariah Carey : #1 To Infinity’ drops on Friday May 22.